'Hand Wash, Line Dry' is an animated short I had the joy of designing from the inside out and from start to finish for my master's project on Bournemouth University's MA 3D Computer Animation course. 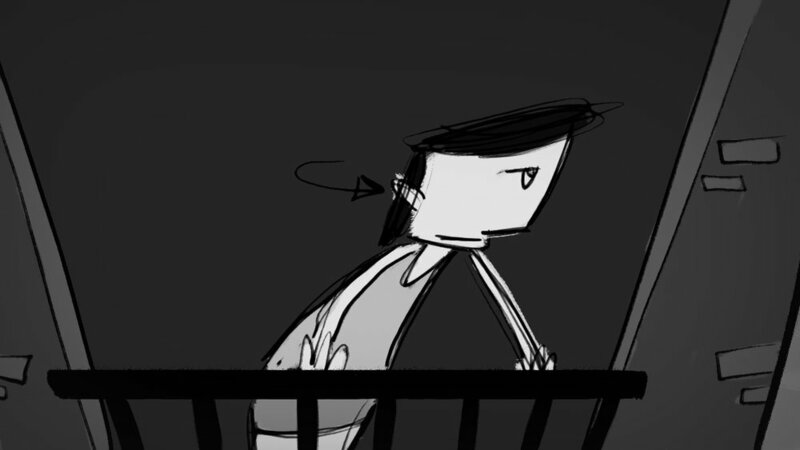 The following is a peek into the production process, with sketches, early storyboards, character designs, and the short's publicity following its premiere. Enjoy! Don Blot is just a frazzled high-rise flat tenant, down to his last undershirt and under-other things, trying to get his laundry off the line before Dottie, a relentlessly bouncy squatter bird, gets to it first. 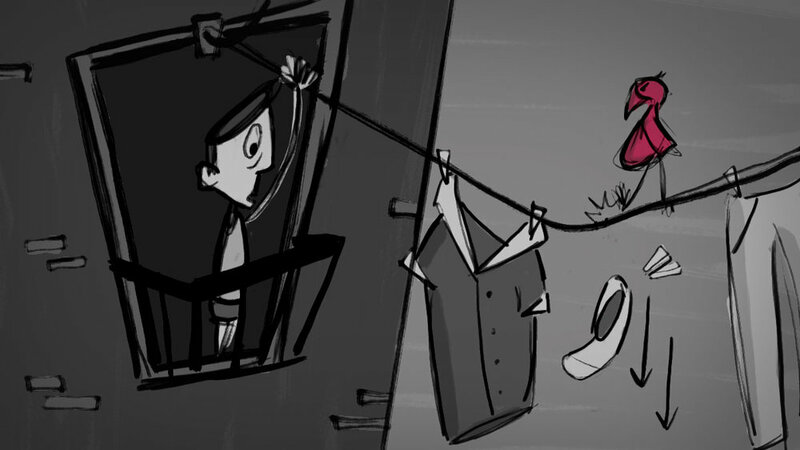 A peek into the process (coffee breaks not included) that brought the short to life! Entered into 'The Rookies' in March of 2017, 'Hand Wash, Line Dry' and its accompanying production material received the Excellence Award, "awarded to entrant pages and projects that are of the absolute highest quality," says the contest guidelines. "Badges are awarded by our editorial team and represent a great achievement for all entrants." Following the success of the short on The Rookies platform, editors from The Rookies asked for a deeper dive into the short’s development. The full writeup can be found here. A frame from the short was used in various promotional materials for the 2017 NCCA Master's Degree Show, held at the Double Negative studio in London, UK. Following the premiere of 'Hand Wash, Line Dry', The Rookies featured my story as a CG Artist in their series 'Humans of CG'. Take a look! 1950's post-modern cartoon design was a massive source of inspiration behind the look development of the short, with considerable emphasis put on large blocks of color and overlaid hand-drawn line detail.